I love this catalog that Jenny made herself! Take a look at her latest Fall Collection on wikstenmade.com. Everything is up on her website, but won't be for sale until September 4th. 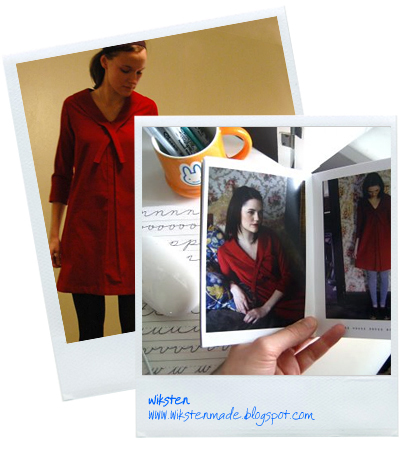 My faves: The Orchard House dress by Elly Fales for Wiksten (pictured above) and the Lena Dress. Wow! I love her new range for fall. I'd take one of each if I could!